Amitabh Bachchan, BIG B, needs no introduction. He is known as super star of millennium. He carries huge fan following across world. He first gained popularity in the early 1970s as the Angry young man of Hindi cinema, and has since become one of the most famous actors in the history of Indian cinema. Amitabh bachchan is most-nominated performer in major acting category at Filmfare, with 36 nominations overall. In addition to acting, Bachchan has worked as a playback singer, film producer and television presenter, and was an elected member of the Indian Parliament from 1984 to 1987. Son of the late renowned poet Harivansh Rai Bachchan, a man who’s braved it all and continues not only to inspire us, but leaves us amazed with his magnificent success. In his 43-year career, he’s worked in over 200 odd films, essaying various roles, some of which went on to create and break box office records like Deewar and Sholay. In June, 2000 he became the first living Asian to have a wax statue erected in his honour at Madame Tussaud’s. As per me he is most versatile personality & Inspiring living legend. Watch Video of Amitabh’s Life (High & Lows). The recipient of both the Padma Shri and Padma Bhushan, he’s also won three National Awards, the most recent being for his performance in the movie Paa directed by R Balki in 2009. But the journey to the top wasn’t a piece of cake for Mr Bachchan. He has had his share of rejection, failure and low moments too. He had health issues in 1982 due to accident on sets of Coolie. He has undergone surgery in November 2005. Common man usually retires at the age of 57-58 years but in the same age Amitabh bachchan had financial crisis and he lost almost everything. But today in 2012 his net worth is more than 400 Crore. This article is about learning from Amitabh bachchan life, how he landed up in bankruptcy and how he fought against all odds to turn his fortune to become crorepati. In 1995 Amitabh started Amitabh Bachchan Corporation Ltd(ABCL) that specialized in film production and event management. ABCL has does everything in entertainment business eg:- Making films, distribution of films, Selling music rights, managing big events, television production, as also in the area of selling commercial time on television. The first year the company did achieve its target turnover of Rs 65 crore and made a profit of 15 crores. But that growth was not substantiated in the second year onwards. ABCL biggest mistake was to organize pagent of Miss World Bangalore. This event has loaded biggest liablity on ABCL. In 1999 ABCL was facing liquidity crunch. Many movies got flopped. Huge funds were blocked in production and distribution of films. Company was not able to pay even salaries of staff. Main Creditor Canara Bank and India’s public broadcaster Doordarshan had made case against ABCL in Bombay High Court. Bombay High Court has given decision against ABCL and directed Bachchan to sell his bungalow ‘Prateeksha‘ and two flats to clear all debt. Bachchan, had mortgaged his bungalow to Sahara India Finance for raising funds for his company. The Indian Board for Industrial and Financial Reconstruction declared Amitabh Bachchan Corporation Limited a ‘sick’ company with a debt of US$14m. With these raise fund also he could not clear all debt. His friend Subrata Roy of the Sahara group and Samajwadi Party general-secretary Amar Singh helped him a lot during this time. His first break in this bad time was Mohabattein movie of Yash Chopra. Big B was back in action by 2000, this time on the small screen with Kaun Banega Crorepati a popular television show known as KBC also. This show was big success and it has revived his fortunes along with participants and STAR Plus channel. 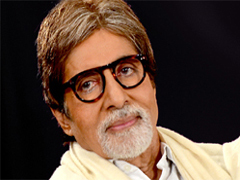 It is estimated that Bachchan earned Rs 15 crore for 85 episodes of the show. Brand endorsement like the ICICI Bank etc helped him to get big money and he could pay back creditors and clean up ABCL’s balance sheet. Imagine starting your life from zero worth at the age of retirement! At sixty plus Amitabh Bachchan career graph is touching sky like rocket. Toyota Lexus: 30 lakh Toyota Qualis: 8 lakh Rolls Royce worth Rs 3.08 crore, two Mercedes worth Rs 2.2 crore, one Poarsche Cayman worth Rs 62 lakh besides vehicle likes Toyota Innova, Mahindra Scorpio Toyota Qualis mahindra Bolero and a tractor. Gold worth -32 lakh, jewellery – 12.48 crore,Silver articles -35.3 lakh silver bars -18.9 lakh Gold worth Rs Rs 2.03 crore, jewellery worth Rs 20.49 crore and silver articles worth Rs 3.7 crore. Bhopal and Lucknow worth Rs 5 crore Lucknow and Barabanki district worth of Rs 3 crore. Plot in sector 44 in Noida at Film city worth Rs 60 lakh In Ahmedabad worth Rs Rs 15 lakh and other at Juhu Mumbai worth Rs 25 crore. Bhopal worth Rs 51 lakhJalsa at Mehta Road in Mumbai worth Rs 40 crore At Juhu worth Rs 20 crore, another at Juhu worth Rs 20 crore, one at Gurgaon worth Rs 1.2 crore, an apartment at Juhu worth Rs 1.75 crore and one in France worth Rs 3 crore. Amitabh lost all the wealth that he had built because, he was good at earning and creating wealth, but trusted others and did not have the ability to protect the wealth he had earned. But, like many of his reel roles, in real life, too, he fought and is now a bigger role model across generations. Similar to this we focus all our time and energies on building wealth. However, when it comes to investment we invest our money based on advice given by agent, broker, financial advisor or friend. I have seen many people trust people blindly when it comes for the investment of money. Remember that you need to be careful when it comes to investment or protection of wealth. Every human being will go through a phase when there are highs and lows. Everything that goes up also comes down. But best thing is ability to accept failure and turn that in to success. Imagine the man who lost everything at the age of retirement accept his failure, start from zero and make 400 Cr. If you carefully see Amitabh Bachchan Current portfolio you will find that his investment/saving is in mostly all asset class starting from debt, equity, real estate, gold and antiques. If you are not master of investment then it is better to invest your money in multiple asset class. In this way down fall in one asset class don’t impact your portfolio much. Apart from this Amitabh Bachchan is one of the few stars that take their iconic status seriously. His interactions with his fans and the press are generally warm and gracious, and he makes a visible effort to remain humble and grounded. Amitabh attitude inspires each and every one to reflect upon the various aspects with sheer admiration and reverence; how he gently and thoughtfully handles each and every aspect of his career and life with versatile brilliance. At the age of 70 also he is ever inspiring superstar. He is a legend who always inspires us to take meaningful steps in our individual fields and excel with the wonderful resources that we have been provided. I hope as a fan of super star Amitji you will appreciate this financial learning from his life. Amitji, You have meticulously utilized each and every instance, transforming mere aspects into potential opportunities of intrinsic value; investing tremendous time and effort at each and every stage; striving diligently at each and every step very most consciously and with profound awareness; a disciplined attitude and an ambitious perspective thereby inspiring us to look within ourselves likewise and accomplish meaningful; purposeful; respectful and responsible goals and objectives for Universal Development; Happiness and Welfare always. We truly appreciate your endeavors and wish you the very best always. You can add comments if you want to pass on any message on Big B Amitabh Bachchan life. « New Tax twist you must know! it will come with you when we are doing the work perfectly,thank you Amithjhi,As you are the person you proved age not matters but the Confidence and interest at work will make you reach but not money,india will proud on you sir,Wish you a goodluck in your Future.Your the hero of me Sir. My Name is Sridhar Rao I am big fan of you sir.